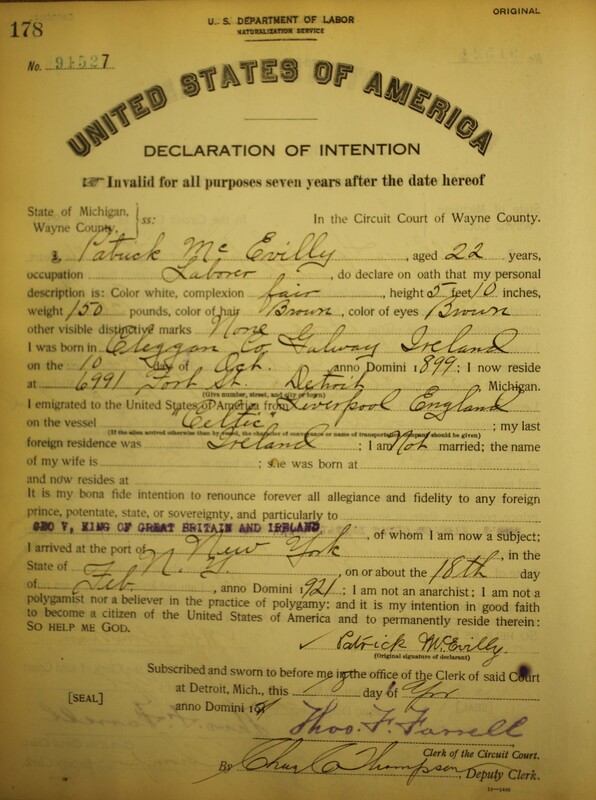 May 15, 2019, 7:00 pm – Laressa Northrup — Quaker Research: Beyond Hinshaw’s Records. This is a presentation on how and where the Quakers started in England and where they were in the US. This presentation will also cover the types of records they kept and how to get everything out of them. I will also cover where to find these records. Join us for our Annual Pot Luck Dinner at 6:00 pm (doors open at 5:30 pm), followed by Laressa's program at 7:00! 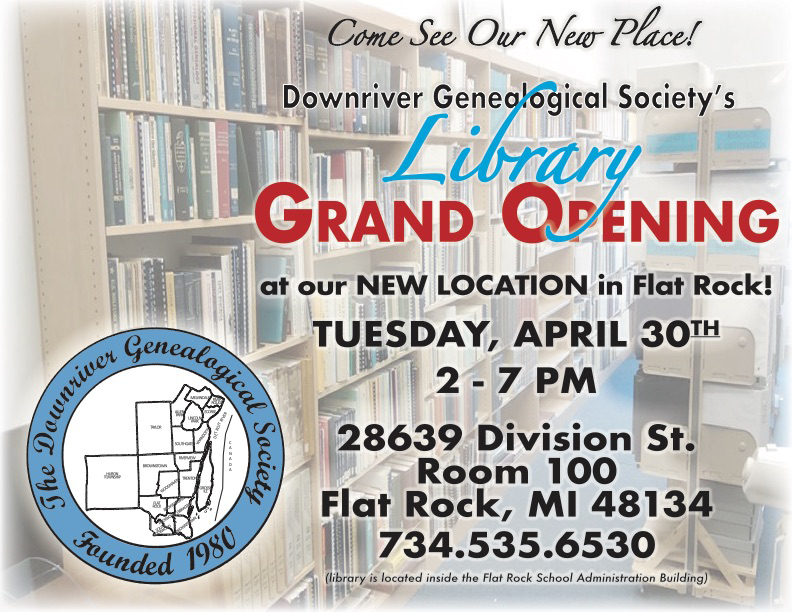 The Downriver Genealogical Society represents 18 communities in south-eastern Wayne County, Michigan. Specifically; Allen Park, Brownstown, Ecorse, Flat Rock, Gibraltar, Grosse Ile, Huron, Lincoln Park, Melvindale, River Rouge, Riverview, Rockwood, South Rockwood, Southgate, Taylor, Trenton, Woodhaven, and Wyandotte.